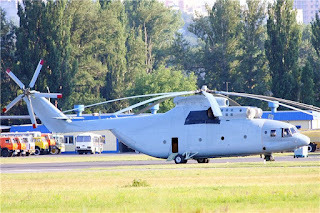 Agreeing with the spotter reports, at JSC Rostvertol at Rostov-na-Don, in June and July 2015, they finished the construction of two new heavy transport helicopters Mi-26T2 for the Algerian Air Forces. On 21 June 2015 at the Rostvertol factory airfield they started flight tests of the 3rd Mi-26T2 helicopter, built for Algeria under a 2013 contract to deliver 6 helicopters of this type. In July the third Mi-26T2 helicopter built for Algeria, conducted flight testing, and received the characteristic sand camouflage paint scheme of the Algerian Air Forces. In the last days of July at Rostvertol they started flight testing the 4th built Mi-26T2 for Algeria. 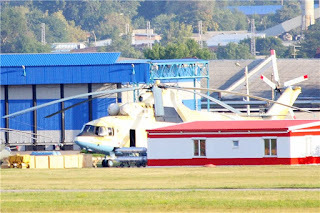 The factory and serial numbers of the Mi-26T2 for Algeria are still unknown. 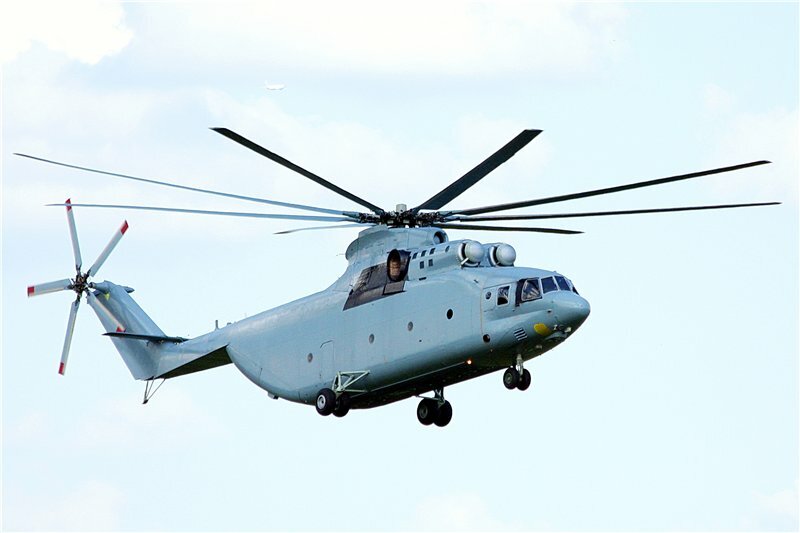 The contract to deliver 6 Mi-26T2 to Algeria was signed by JSC Rosoboroneksport on 26 June 2013, and was the first contract for the delivery of this helicopter with the new modifications. The first Mi-26T2 for the Algerian Air Forces (factory #34001212643, serial number 33-03) conducted its first flight at the Rostvertol airfield on 25 Dec 2014, and the second (factory number 34001212642, serial number 33-02) conducted its first flight at the same location on 11 Feb 2015. These first two helicopters built for Algeria are the first serially produced Mi-26T2 in the world. Both of the first two built for the Algerian Air Forces flew from Rostov-na-Don to Algeria 8-9 June 2015. Third built Mi-26T2 for Algerian Air Forces at JSC Rostvertol on its first flight, 21 June 2015. The helicopter is still in its unpainted form. Also the third JSC Rostvertol Mi-26T2 heavy transport helicopter for Algeria after painting. A Berkut demonstration team Mi-28N crashed today at the Dubrovichi Bomb Range near Ryazan'. A pilot, Igor' Butenko (45-years old) perished in the crash. The other pilot, Aleksandr Klepnov survived. The pilot was participating in Aviadarts which started today, Bondarev said at the beginning of the competition, "Today you will see how our combat training occurs, its results - and where your tax dollars go. You will see how everything is done in order for you to know - the skies above the motherland are protected." All Mi-28N flights are grounded until a cause can be found. Igor's son wanted to follow in his father's footsteps and went to aviation school not long ago. He found out this horrible news from his friends. I was at school and my friends called me. They only send words when the most dear people die. He was a man whom I looked up to. The most kind. Even the lieutenants who graduated remember him only with good words. 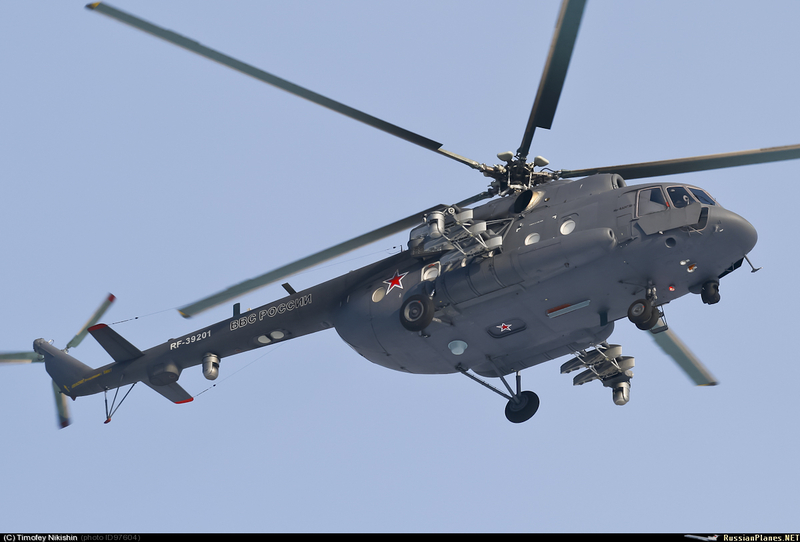 The Head of the Russian Federation Air Forces, Bondarev, confirmed that the Mi-28 crashed due to a hydraulics failure. 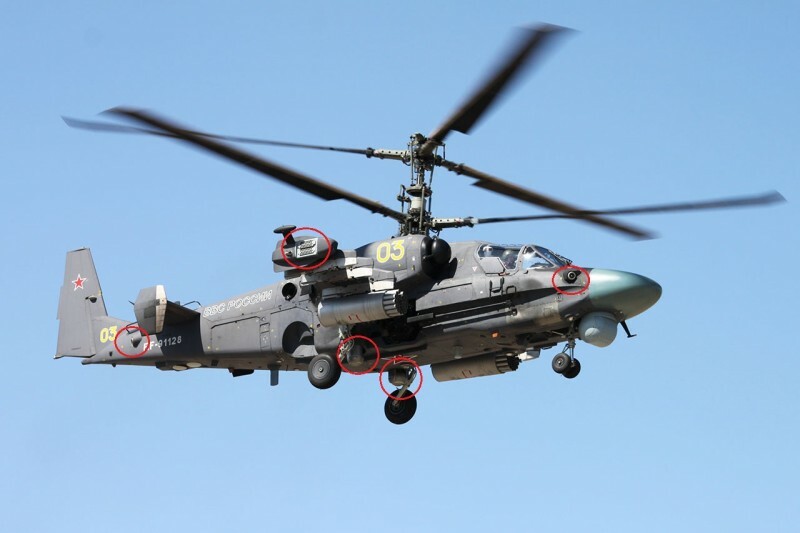 The RFAF commander, General-Colonel Viktor Bondarev, confirmed the MoD press-service report that the Mi-28 crashed at Ryazan' due to a failure in the guidance system and the hydraulics system. "...it occurred due to the guidance system failure, the alarm sounded on the malfunction of the hydraulics and spoken information (Natasha) - 'hydraulics system failure'" - he said. From 2005 until now, the industrial group "Stella Factory" (Moscow, Zelenograd) manufactures defensive systems for aviation and armored vehicles from high-intensity light sources. The main buyers of this production: Joint Stock Company (JSC) NPK Uralvagonzavod, JSC Kazan Helicopter Factory, JSC Ulan-Ude Aviation Factory. On 9 March 2009, a state contract (No 359/3/50-EO3) was signed between JSC Indsutrial Gorup Stella and the Ministry of Defense for the delivery of the EO subsystem for the basic defense system for combat helicopters (L370E8) installed on the variants of the Mi-8 family. Immediately, "Stella" began conducting preparation for L370E8 parts - the EO suppression station L370-5 and the final assembly of the L370E8. According to the contract conditions in 2010, JSC Stella delivered one product in 2011 - 6x L370E8. The next state contract (No 350/3/51-EO3) concluded on 16 Dec 2010 for the delivery of L370E8 between 2010-2013, the enterprise delivered to the MoD 10x L370E8 in 2011 and 20 more in 2012-2013. Among other things, these systems are somewhat modified from the ones that were installed on 2x Mi-8AMTsH-1 VIP helicopters. The Ka-52 helicopters have a modified EO subsystem which is named the L370P2. A part of the L370P2 is the aforementioned L370-5 EO suppression station (СОЭП/SOEP). Their manufacture is being conducted under a contract with JSC Arsen'yev Aviation Company "Progress" names for N.I. Sazykin. The contract No 025-ODK-16 from 19 Jan 2011 has 9x L370P2 delivered in 2011 and 50 more from 2012-2013. In 2014 a state contract was concluded between the Russian MoD for the delivery of the EO subsystem base "Vitebsk" defense complex for combat helicopters (L370E8-OBV) for the sum of 1,117,334,330 RUR with full delivery by 25 Nov 2016. 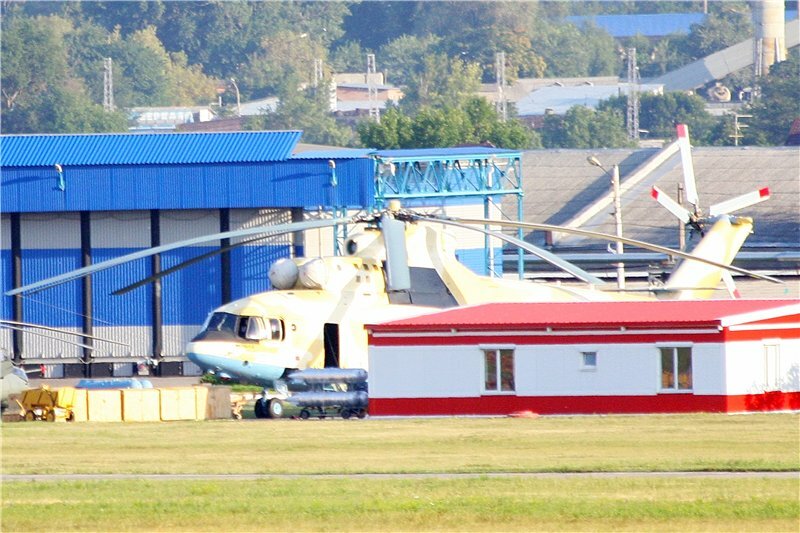 The installation of the L166V1AE AM jammer for the Mi-35M is being conducted under contract No 022-29 from 31 July 2013 with the Limited Liability Company (OOO) "Procurement and Logistics Center of the Helicopter Industry of the Russian MoD." The final recipient of them is the JSC Rostvertol under government contract No 3/4/2/2-11-DOGOZ from1 Mar 2011. Purchases of the EO suppression station TShU1-7M were carried out by JSC Scientific-Production Corporation (NPK) Uralvagonzavod named for F. E. Dzerzhinskiy under contract No 23/1082k/429 from 31 May 2012 for the carrying out of a contract from 28 April 2012 No. P/103106112221/AZ/STI-001 with customer 031 (Azerbaijan). The bloggers under this picture said, "Pretty picture, is Bort 77 there also? 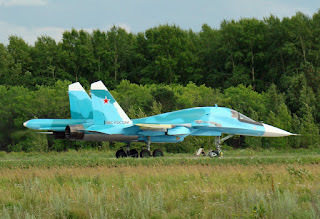 I make models of these aircraft and would like to know if you have a photograph of one on the right side" Then later someone replies that "Only 3 Su-33 flew along with the Su-25UTGs, it is correct that only one shift flew due to a ban on flights. I hope for Monday, but with today's An-12 crash, it is unknown now..."
A lot of news coming in about this one, unsure if the plane is "written off" or not. I also saw on a blog that there is a flight ban on An-12 because of the crash. Having difficulty with this phrase - "источник в силовых структурах сообщили" a source within the military structure? 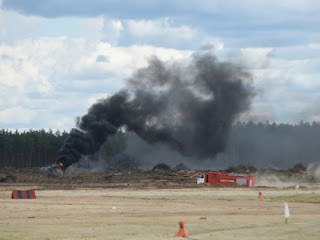 I translated as a "source within the military reported..."
Moscow, 17 July 2015, The Russian MoD confirmed the accident with a An-12 military transport aircraft, which has been reported about in the media. The press service directorate and information departed informed us about this. 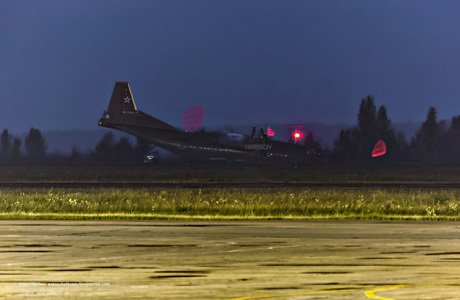 "Today at 14:56 Moscow time while carrying out a planned flight from Omsk to Moscow, a military transport aviation (VTA) An-12 signaled the alarm about a malfunction of two engines - reported the department. The MoD clarified the information, during landing the aircraft slid off the runway. There was no damage at the airport. "None of the soldiers on the aircraft were injured. The cause for the aviation accident will be determined by a special MoD commission," the department added. Earlier the media citing sources in the military reported that the An-12 was carrying out a flight from Omsk to Moscow and on board the aircraft there were 10 people: 5 crew and 5 passengers. The preliminary cause of the emergency landing was due to the malfunction of two engines. Then it became know that there were no wounded. 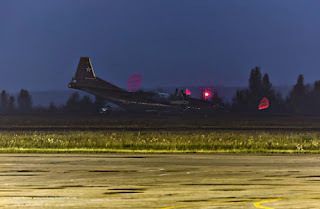 The military An-12 landed at Chelyabinsk (Balandino) between the runway...the crew was unable to land on the runway and made a decision to make an immediate landing on the back-up runway (грунт), burying the nose in the ground...As a result of the emergency landing, no one was injured...very soon after the airfield was closed. One civilian aircraft had to divert to another airfield. Anton Kharsov and residents of Chelyabinsk successfully photographed the An-12 which landed in this city. "The aircraft hit like hail [I think this is what he says], two engines malfunctioned" according to Kharsov on the Chelyabinsk website "Pervyy Oblastnoy" - it landed on the reserve runway, and on landing lost a third engine. As a result, the nose gear strut broke, and the aircraft slightly leaned forward with its nose in the ground, as seen in this photo." The newspaper reported that the tail of the aircraft could have been struck by lighting, but that's one one of the stories. Yesterday there were thunderstorms. Москва, 17 июля. Министерство обороны России подтвердило происшествие с военно-транспортным самолетом Ан-12, о котором сообщили СМИ. Об этом проинформировали в управлении пресс-службы и информации ведомства. «Сегодня в 14.56 (мск) при выполнении планового полета из Омска в Москву у самолета Военно-транспортной авиации Ан-12 произошло срабатывание сигнализации об отказе двух двигателей», — сообщили в управлении. Как уточнили в Минобороны РФ, во время посадки лайнер выехал за пределы взлетно-посадочной полосы. Разрушений на территории аэродрома нет. «Никто из военнослужащих не пострадал. Причины авиационного инцидента установит специальная комиссия министерства обороны», — добавили в ведомстве. Ранее СМИ со ссылкой на источник в силовых структурах сообщили, что Ан-12 выполнял рейс из Омска в Москву, на борту самолета находились десять человек: пять членов экипажа и пять пассажиров. В качестве предварительной причины аварийной посадки назывался отказ двух двигателей. Тогда же стало известно об отсутствии пострадавших. Военный самолет Ан-12 приземлился в Челябинске мимо взлетно-посадочной полосы, получив повреждения. Самолет летел на аэродром Чкаловский, однако над Челябинской областью у него отказал один, затем второй двигатель. Экипаж принял решение об экстренной посадке на аэродроме Баландино в Челябинске. Военный самолет Ан-12 приземлился в Челябинске мимо взлетно-посадочной полосы, получив повреждения, сообщил"Интерфаксу" источник в экстренных службах. По данным источника, самолет летел на аэродром "Чкаловский". "Однако над Челябинской областью у него отказал один, затем второй двигатель. Экипаж принял решение об экстренной посадке на аэродроме "Баландино" (Челябинск), однако не смог совершить посадку на взлетно-посадочную полосу, а приземлился параллельно на грунт, уткнувшись в него носом, и увяз", — сказал источник. Он сообщил, что в результате аварийной посадки никто не пострадал, однако аэропорт пришлось на некоторое время закрыть. В результате один гражданский самолет пришлось направить на запасной аэродром. Ранее в пятницу Минобороны РФ сообщило, что самолет военно-транспортной авиации Ан-12 совершил вынужденную посадку в Челябинской области. "Сегодня в 14:56 мск при выполнении планового полета из Омска в Москву у самолета Ан-12 произошло срабатывание сигнализации об отказе двух двигателей. Экипаж совершил вынужденную посадку на заранее определенный маршрутным заданием резервный аэродром в Челябинской области", — говорилось в сообщении управления пресс-службы и информации Минобороны РФ. По информации Минобороны РФ,при посадке самолет выкатился за пределы взлетно-посадочной полосы, разрушений на аэродроме нет, никто из военнослужащих не пострадал. Причины авиационного инцидента установит специальная комиссия министерства обороны. Как оказалось, у самолета Ан-12, экстренно севшего в Челябинске, отказали не два, а три двигателя, а при посадке подломилась носовая стойка. Жителю Челябинска Антону Харсову удалось сфотографировать самолет Ан-12, который летел из Омска в Москву и экстренно сел в этом городе. – Самолет попал в град, произошел отказ двух двигателей, – приводит слова Харсова челябинский сайт «Первый областной». – Садились на грунт, чтобы смягчить удар, при посадке отказал третий двигатель. В итоге подломили носовую стойку, самолет слегка врылся носовой частью в землю, это видно на фото. Издание также сообщает о том, что в хвост самолета могла попасть молния. Но это только одна из версий. Над Челябинском вчера бушевала гроза. Как уже сообщало РИА «Омск-Информ», военно-транспортный самолет экстренно сел в Челябинске вчера в районе 18 часов по омскому времени. Никто не пострадал, но самолет выкатился за пределы взлетно-посадочной полосы. As part of the 16 July 2015 Russia MoD day of acceptance for military equipment, the Novosibirsk Aviation Factory named for V.P. 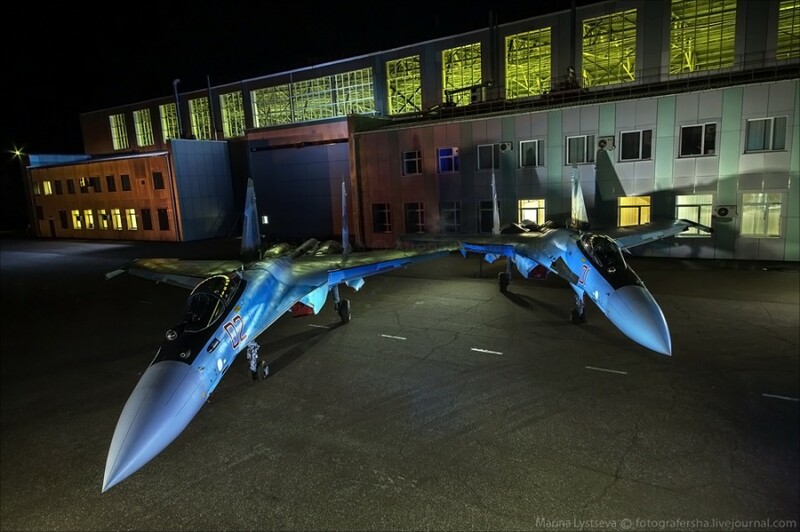 Chkalov (an affiliate of Public JSC "Sukhoi") transfered the next 2 Su-34 frontal aviation bombers to the Russian Federation Air Force. 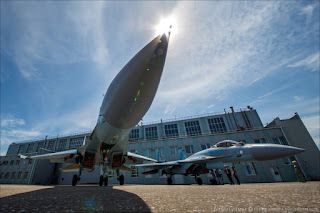 Earlier on 21 and 29 May of 2015, the PJSC "Sukhoi" transferred the first batch consisting of 4x Su-34 to the MoD as part of a state defense order in 2015 - aircraft were RED 34, 35, 36, and 37, which were flown from Novosibirsk to Morozovsk (Rostov Oblast') as part of the 559th Independent Bomber Aviation Regiment of the 4th Air Force and Air Defense Command of the Southern Military District. 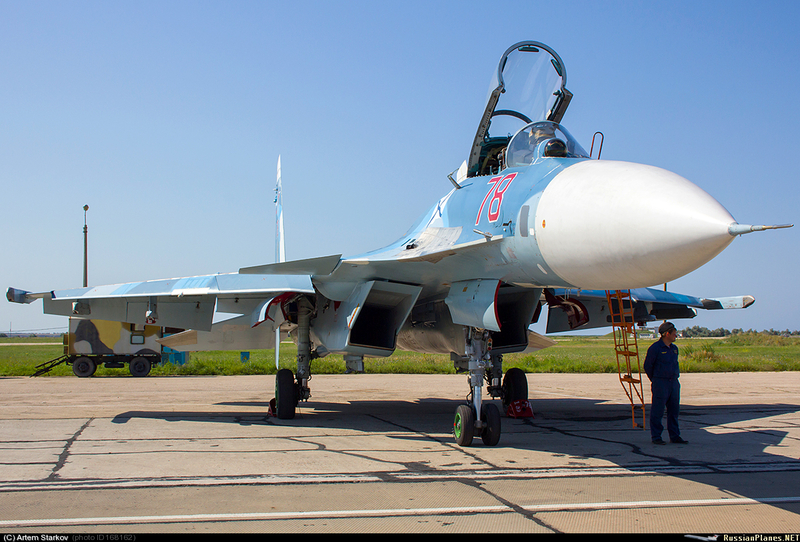 Presumably, the 2x Su-34 transferred on 16 July will also become part of the 559th OBAP. By receiving these 2x Su-34 transfered to the RFAF, the 559th OBAP will be 33 aircraft. We remind you that the agreement not long ago from our network sources, "the planned deployment of new and modernized aircraft from Sukhoy by the beginning of 2016," the 559th OBAP must have 36 aircraft (3 full squadrons). 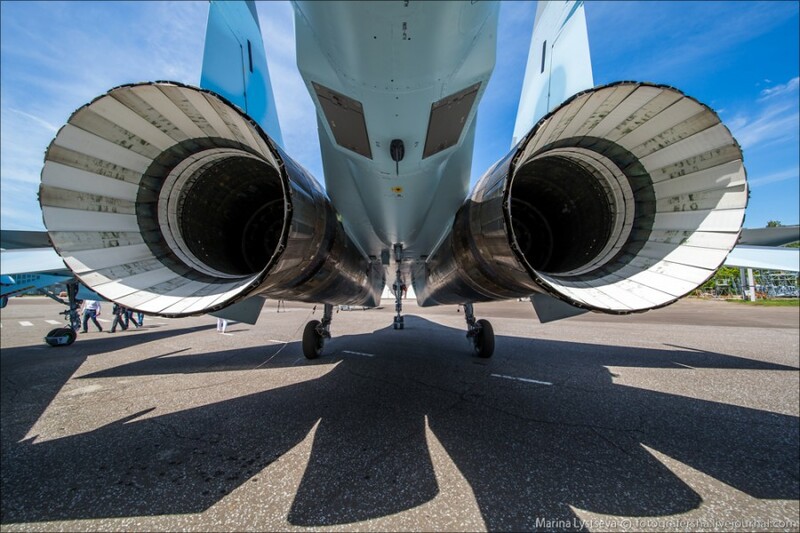 The total number of Su-34 built for all contracts including the 8 prototypes has reached 71. 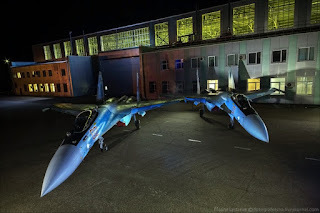 On 25 Mar 2015, the head director of UAC, Vladimir Mikhaylov, revealed that the Novosibirsk Aviation Factory "must deliver 16 Su-34" (6 of which have already been delivered). I guess we know where the 2nd Su-35S active base is now :) that first paragraph is really weird, any other Russian translator want to take a hack? 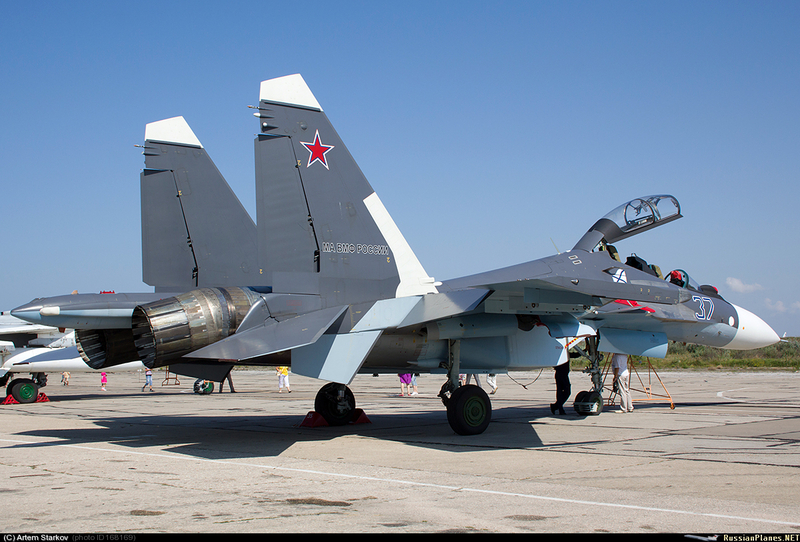 22nd IAP (FAR) gets Su-35S becoming the second unit to get them. 1 August 2015; AFADC go away, AFADA come back, 11th AFADA in the EMD. 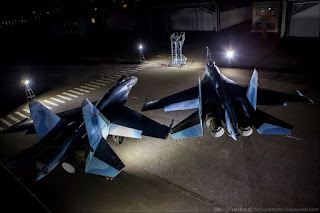 The Komsomol'sk-na-Amure Aviation Factory (an affiliate of the Joint Stock Company, "Sukhoi") transferred the first 2x Su-35S fighters built in 2015 to the Air Forces as part of a 16 July 2015 military products acceptance day. The transfered aircraft have bort number 01 RED (serial number 02515) and 02 RED (serial number 02516) and will be the initial Su-35S which will become part of the 22nd Fighter Aviation Regiment (Uglovoye Airfield, Primorskiy Kray), 303rd Combined Aviation Division, 3 Air Force and Air Defense Command (which on 1 August 2015 becomes the 11th Air Force and Air Defense Army) of the Eastern Military District. 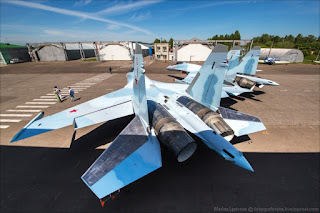 All in all, in 2015 the Komsomolsk'na-Amure Aviation Factory will delivery to the Air Forces 14x Su-35S (assumed serial numbers 02515 to 02518, 02619, 02620, 03001-03003, 03104-03106, 03207, 03208) and all of them will be delivered to the 22nd FAR which will be the second combat unit in the Air Forces receiving the Su-35S aircraft. The received Su-35S became part of the 22nd FAR on 16 July, seemingly, equipping the squadron that transferred its Su-27SM aircraft in 2014 to the newly formed 38th FAR of the 27th Combined Aviation Division of the 4th AFADC at Bel'bek on Crimea. Additionally, the 22nd FAR kept one squadron of Su-27SM (and Su-30M2) and MiG-31 interceptors. 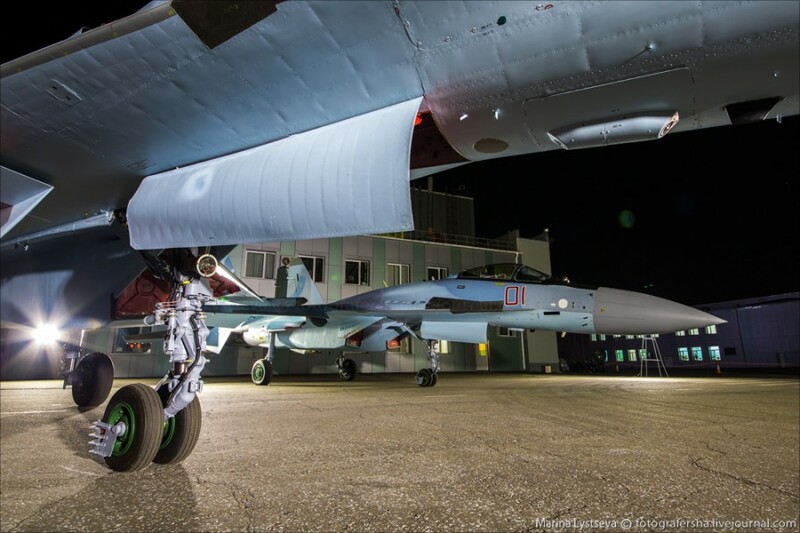 The 2015 Su-35S program will be the final aircraft from a 2009 contract between the MoD of Russia and the Sukhoi company to build 48 fighters of this type. 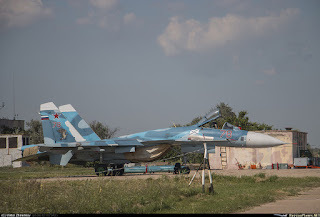 According to the conract, 34 aircraft were already delivered, in 2014 24x Su-35S were delivered (12x of which were built in 2013), which entered service with the 23rd FAR under the 303rd Guards CAD of the 3rd AFADC (Dzemgi Airfield at Komsomol'sk-na-Amure), before that 8 aircraft were delivered in 2012, and 2 at the end of 2011.. 10 Su-25S delivered in 2011-2012 are used for research and preparedness of flight crews at the 929th State Flight Research Center (GLITs) in Aktubinsk, the MoD's 4th State Center for Preparing Aviation Personnel and Military Testing named for V. P. Chkalov at Lipetsk, and also at the Zhukovskiy flight research center named for M.M. Gromov, also going through fine tuning.